When on a Foot Trail you have access to delicious locally produced food and drink. Think artisan cheeses, locally reared meats, handmade desserts, and real ales and ciders as well as fine wines. The South West’s great food and drink is well known and much loved. Specialities to look out for and taste as you travel include the crumbling cheddar cheese, named after the Somerset town of Cheddar where it was first produced. The UK’s first ever farmer’s market took place in Green Park station in Bath and still happens each week on a Saturday morning. Other food markets take place at different times in the region. For those who enjoy a tipple you can enjoy one of hundreds of varieties of real ale. Many produced with great care by small micro breweries and available at the country pubs and country inns you will find on route. And of course the cloudy Somerset cider is produced with great skill from the region’s apple orchards. Other delights to look out for include Wiltshire cured ham and pork, Dorset beef and lamb and cake including Dorset Apple cake, the Bath bun and Marlborough bun. With a micro brewery located behind Foot Trails HQ we are familiar with the lure of the real ale. There are hundreds of varieties of real ale and many are produced with great care by micro breweries through the South West region. 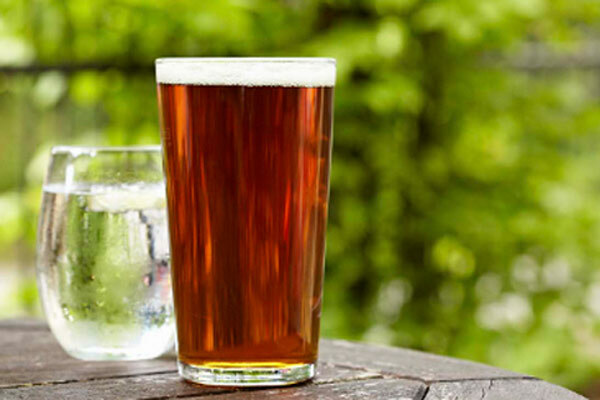 You’ll find a great choice of real ales and ciders at the country inns where you are staying and at some of the country pubs you find at lunchtime on route on your walks. If you love real ales or ciders try Wessex Ancient Kingdom or Knights Medieval Castle. Dorset blue vinny, cheddar, Bath soft cheese, Bath Wyfe, and cave aged goats cheese are just a few of the speciality British cheeses you can find on various Foot Trails. 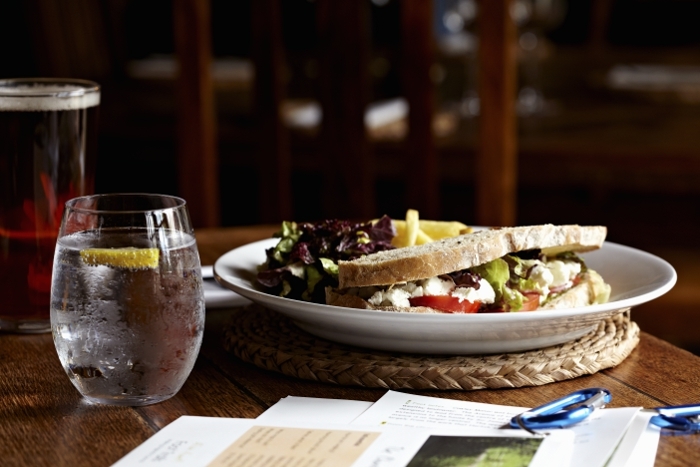 Enjoy them at lunchtime or as part of a cheese course at the end of your evening meal at your country inn. 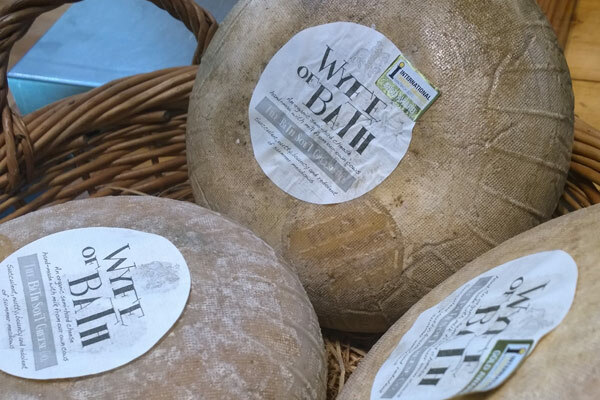 For cheese lovers, book Somerset’s Knights Tale or Bath City and Country. 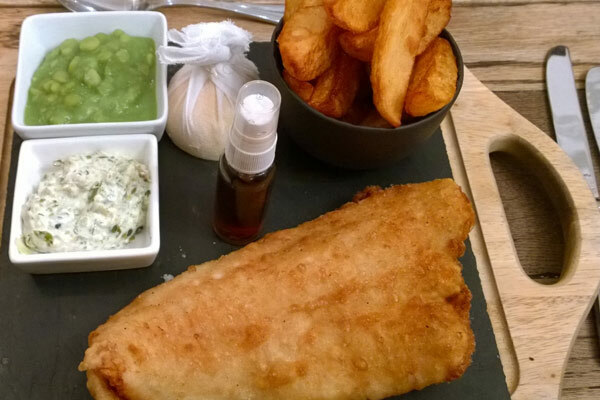 What makes the perfect fish and chips? Firm and flaky fish that’s succulent and white in colour, with chips being crispy on the outside and fluffy in the middle. The nation’s favourite poses a bit of a mystery as to how they came together. Chips (pommes frites) arrived to Britain from France in the 18th century. In the mid 18th century fish warehouses sold fried fish accompanied by bread. 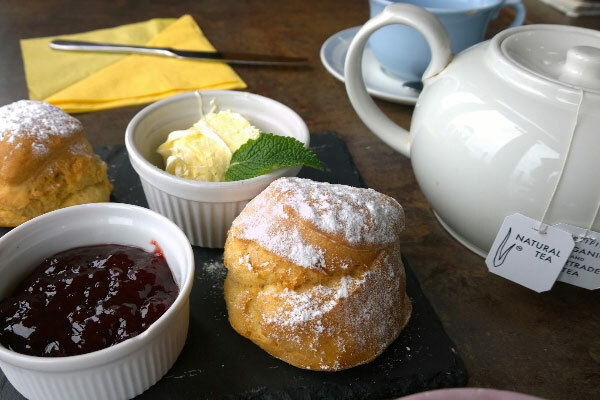 The exact origin of the “cream tea” is disputed, although there is evidence to suggest that the tradition of eating bread with cream and jam already existed at the Tavistock Abbey in Devon in the 11th century. A day of walking starts after the perfect breakfast! Breakfast like a King at our personally chosen country inns. 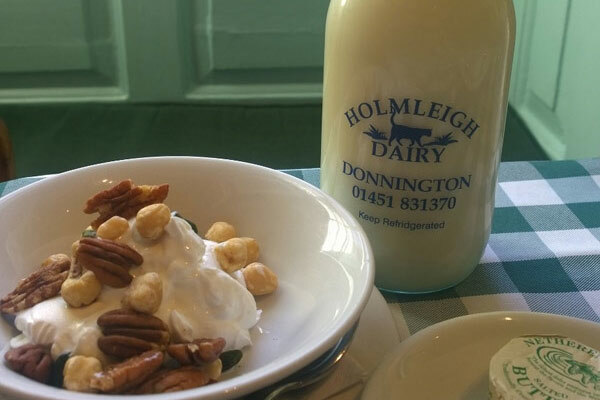 You can enjoy something light such as toast, fresh fruit or yoghurt and pastries or try one of our full English breakfasts with locally produced bacon, sausage and hens eggs. Wash it all down with hot English breakfast tea or coffee and fruit juices. The perfect way to set yourself up for a day on the trail. Yum.For a delicious breakfast to set you up for the day, book Somerset Knights Quest or Complete Cotswolds. Relax and dine on local produce at the end of your trail. Each Foot Trails country inn is personally chosen for its warm welcome, relaxing bedrooms and its excellent local produce. Every inn offers a delicious choice of starters, main courses and desserts. 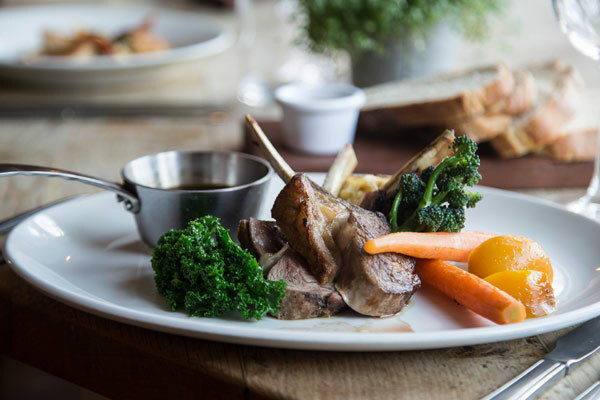 You can enjoy regional specialities of the South West on different Foot Trails including ruby red beef in Devon, local artisan cheeses on most of our trails and freshly baked bread and Bath bun’s on our Bath City and Country tour. At Foot Trails our specialist knowledge means that we can create a trip centered around what interests you most. Simply tell us your wishes and requirements.